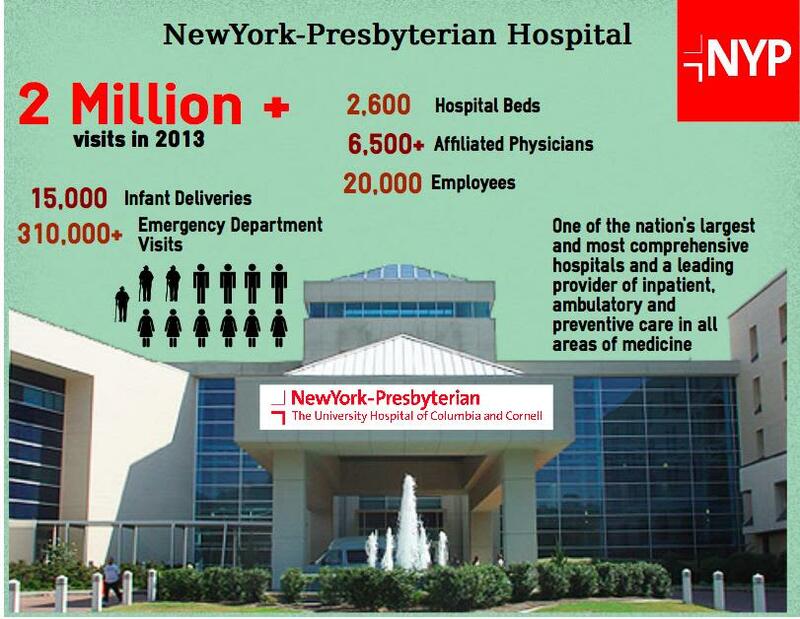 Create innovative technology solutions to help enhance the hospital experience for patients and care providers at NewYork-Presbyterian! 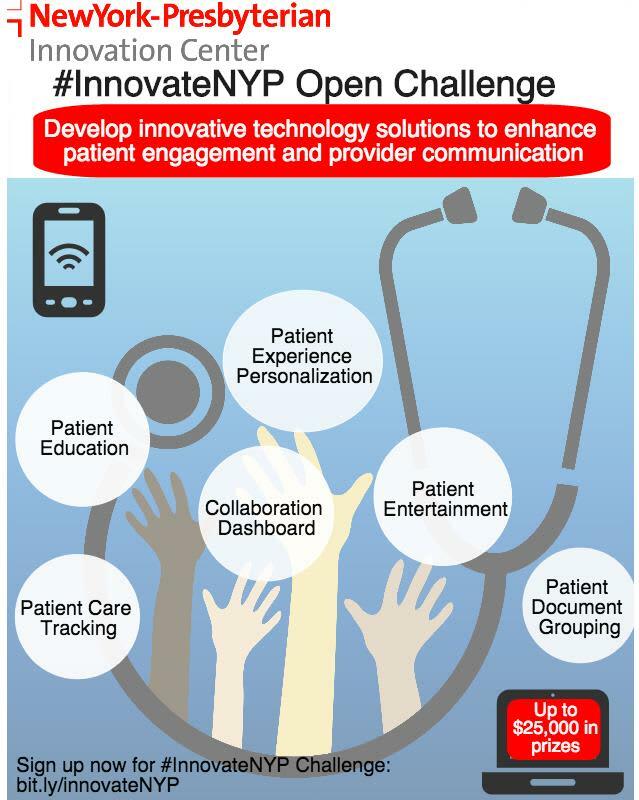 NYP Hospital is pleased to launch the InnovateNYP: Open Challenge, a 10-week competition to identify and prototype innovative technology solutions to enhance the patient experience and provider communication. Open to the general public as well as all NYP employees, the Challenge will award up to $25,000 in cash prizes. All entries must be submitted by July 25th at midnight, meaning one minute after 11:59 PM EST on July 24th, and similar to last year’s Hackathon, prototypes will be judged at the end of the submission period. The judging panel will consist of NYP executives and health tech community leaders. Each Team shall appoint one individual to represent and act on behalf of the team, including entering a Submission. any individual whose participation in the Open Challenge would, in the determination of the Sponsor, create a conflict of interest. members of an individual’s household include any other person that shares the same residence as such individual for at least three (3) months out of the year. For more information please review the Participant Info Packet that can be found on NYP's Innovation Center website here. You should register for the challenge here on our ChallengePost page and check out our in person events on Eventbrite: InnovateNYP: Open Challenge Info and Networking Event and InnovateNYP: Open Challenge Workshop and Q&A Session! Be sure to keep an eye out for updates during the course of the Open Challenge. How intuitive is the experience? Would the end user find the application easy to use and understand? Does the prototype have an appealing aesthetic? Is its interface clear and simple? Would the intended end user actually use this application? What would users gain from their experience using the application? Is this a new idea? Does technology like this already exist? How innovative is the concept? Does it address any of the issues and problem areas noted by NYP on the Open Challenge website? Is the submission practical and useful to the hospital and patients? Is this a tool that could be easily implemented?